The new report includes Sawiris, Sewedy, Mansour and several others. Download the free PDF-file here. 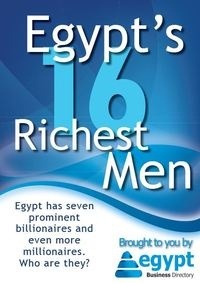 Egypt Business Directory prepared a compilation of the background, success stories and wealth of Egypt’s 16 richest men.